The legendary watchmaker Hublot, which cooperates with the Munich club “Bavaria”, presents new King Power FC Bayern Munich. The presentation was attended by Jean-Claude Biver, a board member of the club, Karl-Heinz Rummepigge and players “Bavaria”: Franck Ribery, Daniel van Buyten, Jerome Boateng, Emre Can, Luis Gustavo, Dzherdan Shakira and Claudio Pizarro. 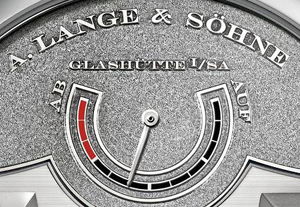 New, limited edition, presented in 48 mm round case made of titanium. Thanks to the convenient 45-minute counter, athletes and fans can follow the match time. Poluskeletonirovanny black dial features red and blue hour-markers, logo football club in the position of “3:00” and the four arrow keys, of which the hour and minute painted red. Original design as chronograph buttons, one of which is represented in red, and the second – in black. Between the buttons chronograph at the 3 o’clock is the crown. Model King Power FC Bayern Munich is equipped with automatic caliber manufactory HUB4245, which skeletonirovan. Come watch on rubber strap in black with red accents. A series of limited – 200 copies.